Remind yourself daily in the ways that you achieve greatness. Greatness can be the extra steps you take to do something nice for someone that you don’t know, a message sent to a friend, or going out of your way to help someone in need. Greatness can be a kind word, compliment, or a smile. 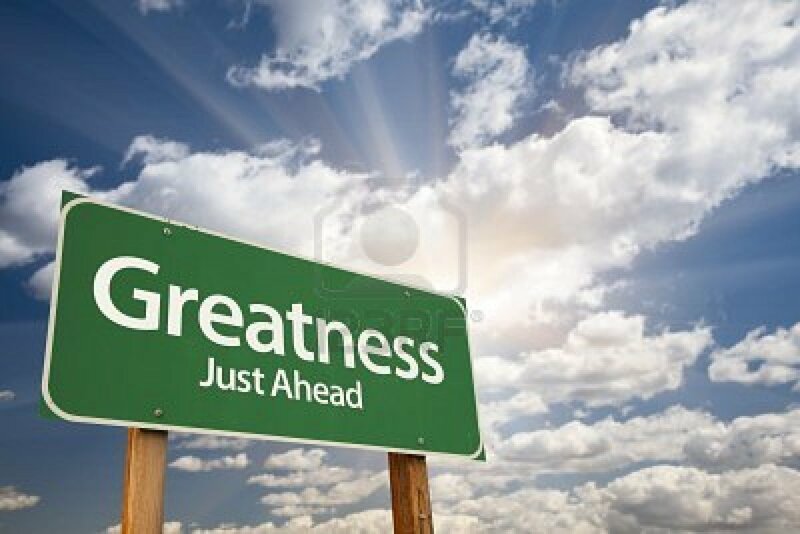 Greatness does not have to be some grand statement or act. Greatness can simply be a demonstration of being your best self in word, thought, or deed in each moment. It communicates to others and yourself that you are willing to be a better YOU. You have a purpose and that purpose is greatness- nothing more, nothing less.